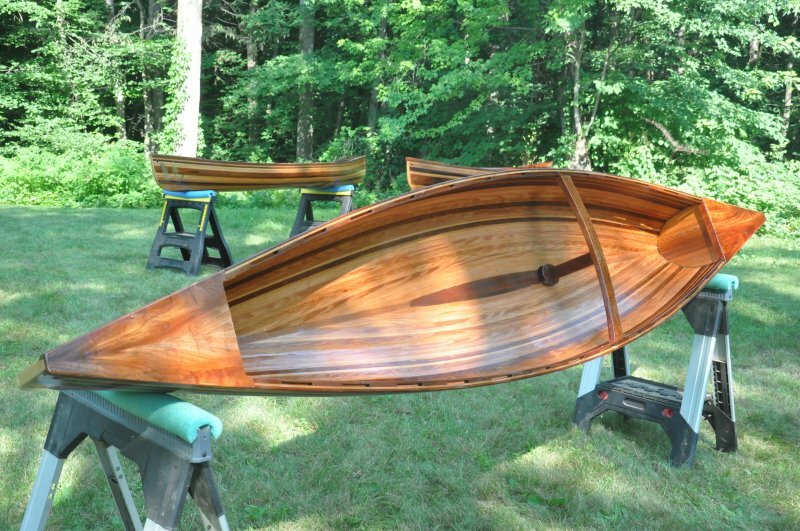 Instructor Larry Benjamin of the Adirondack Folk School led students in the construction of these Wee Lassie canoes. They are slight revisions of the classic Wee Lassie on permanent display at the Adirondack Museum. They are made of Eastern white cedar strips for the hull and a variety or exotic woods, including leopard wood, sapele, and mahogany for the bright work. 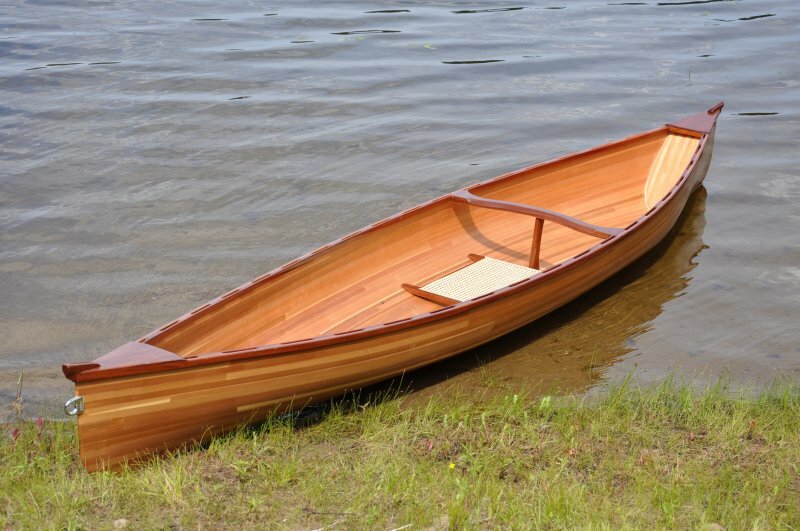 At just under 12′ in length, and slightly less than 20 lbs., they are an ideal craft for flat water and an easy portage. Fiberglass and epoxy make it both durable and beautiful. You can find out more on their website, www.adirondackfolkschool.org.